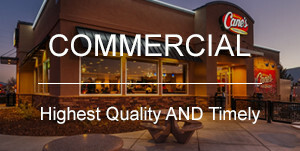 John Anderson Construction takes pride in building FINE, FUNCTIONAL structures throughout Nevada and California. More than that, we build relationships with people. His crew and subcontractors were topnotch professionals and their work was without peer. John Anderson Construction will be the contractor we use for future construction and we would recommend them to anyone looking for a contractor . . .
MRG Marketing & Management, Inc.
...ARE THE PEOPLE BUILDING IT.